2.3 Commentary on Hippocrates' "Nature of Man"
In 1236, Ibn al-Nafis, along with some of his colleagues, moved to Egypt under the request of the Ayyubid sultan al-Kamil. 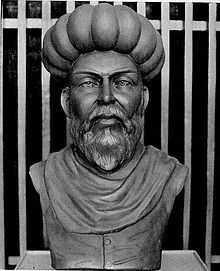 Ibn al-Nafis was appointed as the chief physician at al-Naseri hospital which was founded by Saladin, where he taught and practiced medicine for several years. One of his most notable students was the famous Christian physician Ibn al-Quff. Ibn al-Nafis also taught jurisprudence at al-Masruriyya Madrassa (Arabic: المدرسة الم��رورية). His name is found among those of other scholars, which gives insight into how well he was regarded in the study and practice of religious law.